It’s a holiday as epic as the Ramayana. Diwali, a holiday celebrated by three of India’s major religions, brings a monsoon of merriment during the autumn months. 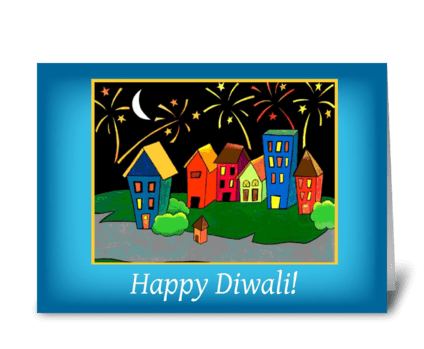 Diwali is known as the festival of lights, and many people choose to observe it by hanging light displays from their houses; some displays are so ornate that even the six-handed Hindu god Ganesh would have trouble putting them up. The celebration lasts five days, and is filled with games, entertainment, and gift giving. It’s also a time for families to get together and share the holiday; along with the ceremonial light displays there are special Diwali recipes and other Diwali-specific traditions. And for family members who can’t make the festival, it’s common to send greeting cards to let them know that you’re thinking of them, and to tell them to be careful putting up all those lights. Diwali traces its origins back to the story of Rama, who defeats the beast Ravana to rescue his significant other Sita. It is viewed as a celebration of the triumph of good over evil, which is a pretty good reason to celebrate in general. 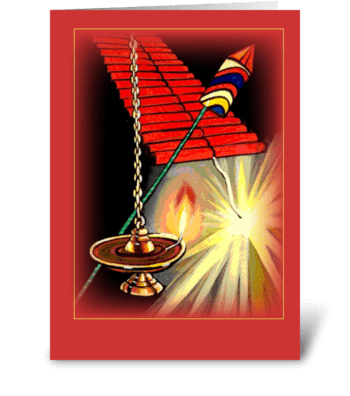 The actual date of Diwali is calculated each year by the Hindu calendar, on the Western calendar the dates fall between mid-October and mid-November. Each of the five days of Diwali celebrates a separate event in Hindu mythology, and in addition the holiday has significance for believers in Sikhism and Jainism. 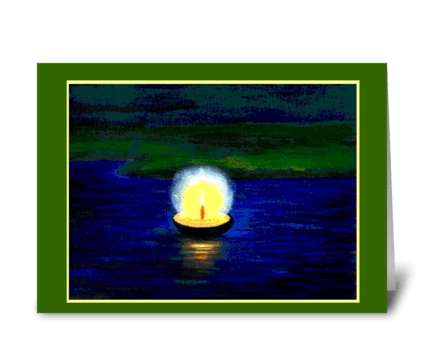 The holiday is also recognized by Buddhists, however their celebration of Diwali consists of five days of stoic meditation, which is usually what Buddhists do anyway. 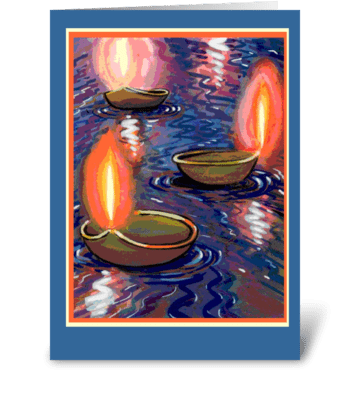 Diwali closes with the day of Yama Dvitiya, a day in which it is customary for brothers to pay a visit to their sisters, though this generally doesn’t happen as much with younger children since they still think their siblings have cooties. 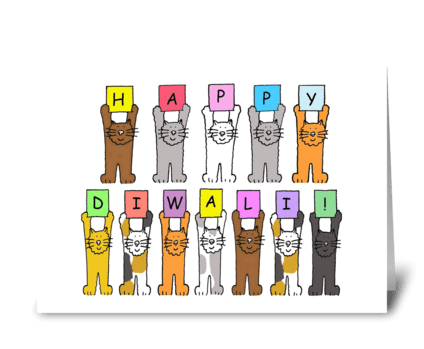 There’s no doubt that Diwali is an important and exciting holiday, so if you can’t spend it with your family it’s a good idea to send them a greeting or card for Diwali. 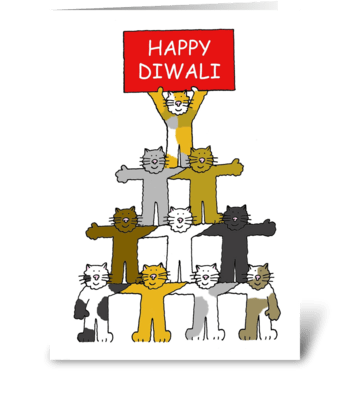 And for those with family in India, sending a Diwali card means you don’t even have to worry about the time difference.